With the holiday season upon us, I'm prepping to head home to beautiful Ithaca, New York to spend time with my family. As it's where I grew up, every time I visit, I can't help but entertain the inevitable feelings of nostalgia that hit me every time I visit. But this year, they hit me a little earlier than normal after I glanced over at my bookcase and saw the spines of a few young adult novels I've kept for years. As a kid, one of my favorite things to do was to run around my neighborhood pretending I was a long distance mountain bike racer in search of the next great trail to explore. I’d climb giant pine trees near to a church near my house, imagining I could see faraway mountains and lands the farther up I went. I’d listen to the birds chirping in my backyard, pretending I understood their secret language. I was inspired by books filled with stories of kids my age doing the impossible, or seemingly impossible, many of which I still keep copies of. As adults, we can often forget how wonderful it is to use our imagination when we’re outdoors. The books on this list aren’t only great holiday gift options for the young adults on your list, but also likely to inspire us all to take our imaginations with us on our next outings. Growing up, I could absolutely relate to the star of My Side of the Mountain’s Sam Gribley. Sam runs away to the Castkills with a knife, ball of cord, small sum of money, flit and steel, and an unshakable desire to live in the woods alone. His year in the wilderness is, of course, life-changing. With a falcon and a weasel as his companions, he learns about true bravery, true danger, and how to be self-sufficient – all things I remember being infatuated with as a kid. I even recall scouring the local woods for a hollowed out tree to set up a home in, like Sam did. It’s hard not to imagine having grown up without My Side of the Mountain in my bookcase. This story put me on a path toward complete obsession with birds when I was younger, and for a time, I imagined myself as an ornithologist, a sort of bird whisperer. In The Cry of the Crow, Mandy knows her family sees the local crows as pests that endanger the family’s strawberry farm. 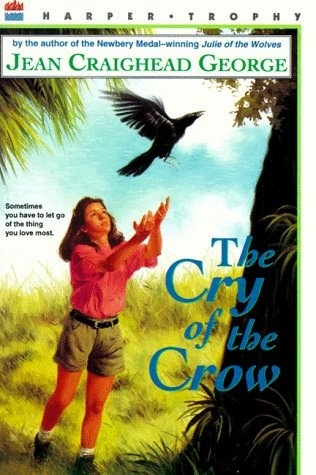 When Mandy finds a helpless baby crow in the woods, she cares for the bird, named Nina, in secret. As Nina grows, the wild crows try to entice her out of Mandy’s care. Mandy knows the bird is wild, but wants to keep it as a pet. The story has a tragic twist of sorts, but in the end, it’s a beautiful story and certainly raises questions I hadn’t considered about domesticating wild animals as a kid. Growing up, I had a close friend I’d spend hours running around outside with. We'd make up stories about having to live off the land on our own, pretend we were cross country bike races, explore the world together, and get into all sorts of trouble. 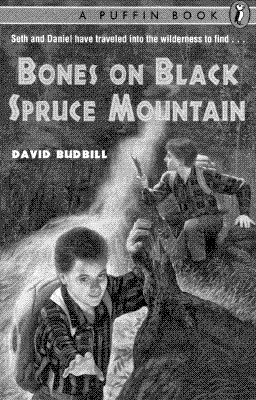 She and I were inseparable through most of elementary school, and for that reason, I could easily relate to Seth and Daniel in Bones on Black Spruce Mountain. The two boys trek up the mountain themselves to find out the truth about an old legend, the story of a foster child who ran away to live, and die, in a cave there. It’s part mystery novel, part coming of age tale, and all adventure. I loved reading stories that made the games I played with my friend seem more possible, more real. Miyax, as she’s known in her small Eskimo village, is unhappily married and orphaned at the age of 13. She runs away from her village in hopes of reaching her pen pal, who calls her Julie, in San Francisco. 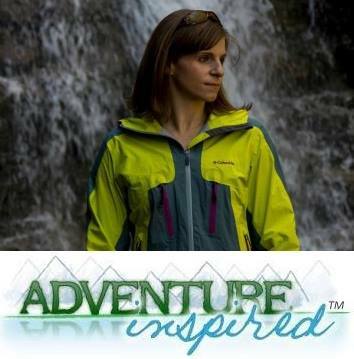 She finds herself lost in the Alaskan wilderness and to survive, she mimics the behaviors of a pack of wolves. 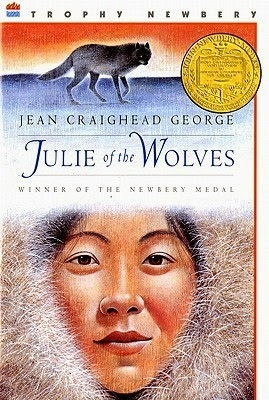 The wolves accept her into their community, and though Julie struggles to survive, when she finds her way to civilization, she’s torn between her life with the wolves and her Eskimo ways. It’s a coming-of-age tale, but as a kid, all I remember is trying to figure out how to talk my neighbor’s dog (a bichon frise) into running away to Alaska with me. It wouldn’t have ended well, but a girl can dream! Stories like Gary Paulsen’s Hatchet also come to mind when I think of stories that influenced my outdoor life as a kid. What are some of your favorites? What books bring back memories for you? Leave a comment! 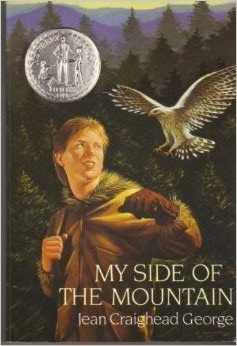 "My Side of the Mountain” was my favorite book growing up. There was always something very appealing about heading into the woods and being on your own, and the book captures that. What about other classics like "Call of the Wild" or "Where the Red Fern Grows". This is a good start to a list. I'm going to see if I can find them for my kids to enjoy. Awesome! I loved it too, and boy did it get my imagination going, thinking about all of the possibilities. I might have to read it again! Oooh, those are good ones! Ever title seems to bring back memories.